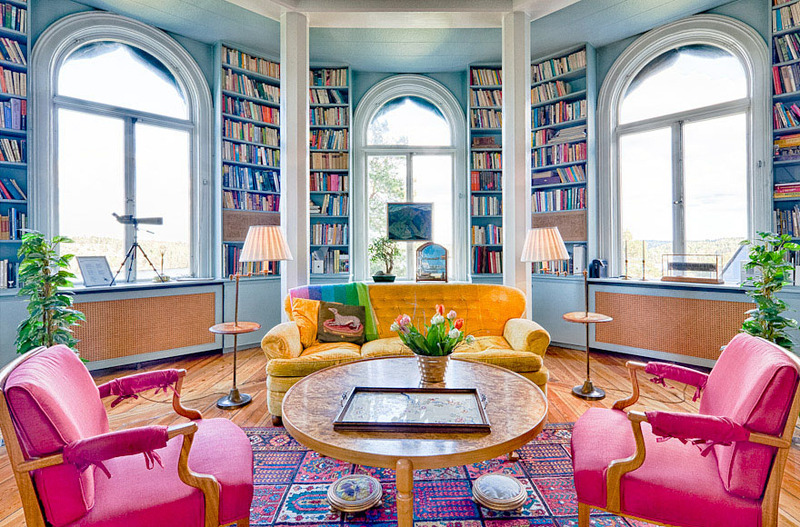 Situated on a bluff overlooking Lake Mälaren, Sweden, this inspiring wooden palace has a commanding magnificent view. You can see Drottningholm Palace from its rooftop veranda. The Gustavian inspired architecture with touches of Empire style was designed by popular 19th century architect Magnus Isæus.